The name Husqvarna has long been known as a forerunner when it comes to garden tools. 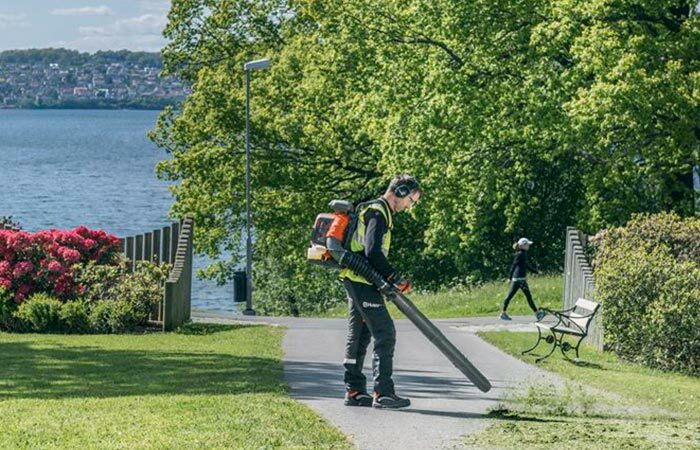 Simply put, Husqvarna has made life easier for millions of people and their latest, the 580 BTS 75.6cc Gas Backpack Blower, is a mighty powerful tool that was created to do just that and make your life simpler so that you can do what you truly enjoy. Featuring innovative technologies with an extremely powerful motor, this Husqvarna Blower will help you clean up your yard in a jiffy. Largely considered to be one of the most powerful blowers on the market, this blower features a 75.6cc / 4.3Hp X-Torq engine that cuts exhaust emissions by 60% while improving fuel efficiency by 20%. This saves you time and money. With autumn just around the corner, you’re going to need something that will assist you in cleaning up all those brightly colored autumn leaves and you need to look no further than the Husqvarna blower. Featuring a 75.6cc / 4.3Hp engine, it’s a beast. However, what makes this blower special is its unique X-Torq designed engine that reduces exhaust emissions by 60% while improving fuel efficiency by 20%. To enhance this motor, a new fan design delivers excellent flow and high air speeds. Essentially, you’ll save both money and time. Check out the video below. Due to the two-stage air intake system, this blower is powerful enough to be used for long periods, even in dusty conditions. 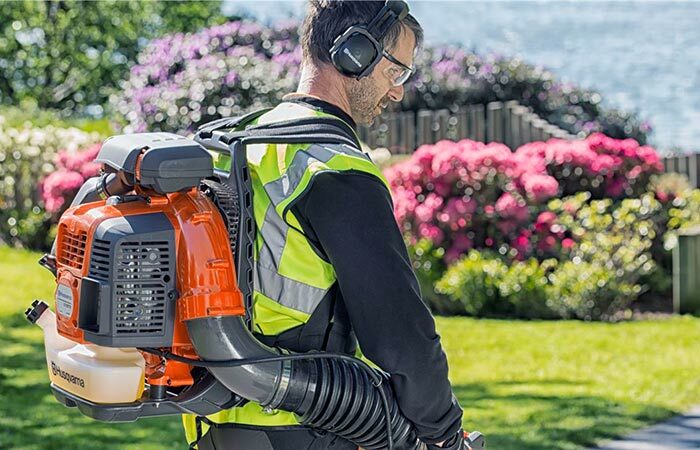 To ensure that your Husqvarna Blower’s engine stays in optimal condition, this beast features a centrifugal air cleaning system that removes large particulates (dust and debris) before it can reach the filter. This means that you need to clean the filter less often and improves engine life. An air purge feature removes all the air from the carburetor for easier starting and to make it more comfortable, this blower has adjustable soft grip handles. To make sure that this blower can handle the job, Husqvarna incorporated a two-stage intake air filtration system that allows for long periods of use in dusty conditions.